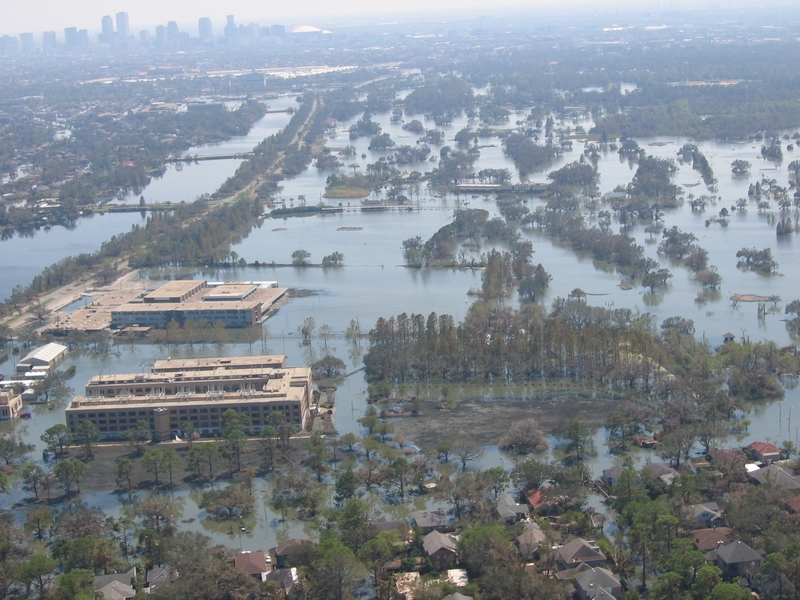 Hurricane Katrina triggered the collapse of New Orleans’s public health system, shuttering 13 of 16 acute care hospitals, including Charity and University Hospitals, two fabled public facilities that had long served the poor. The storm wrought serious shortages of hospital beds, laboratory facilities, equipment, supplies, and crucial staff, from nurses and doctors to specialists like anesthesiologists. The following is an excerpt from my book, Fevered: Why a Hotter Planet Will Hurt Our Health and How We Can Save Ourselves, in which I recount how New Orleans rebuilt its public health system, making it a model for disaster preparedness. She was talking about the importance of healthy lifestyle habits in a matchless setting: the spacious enclosed patio of a stately, whitewashed antebellum mansion with colonnades and sweeping verandas in New Orleans’s historic Garden District. About two-dozen musicians and friends listened intently as Guimont dispensed tips and diabetes-friendly recipes while they munched on Cobb salads, vegetarian wraps, and chocolate chip cookies inside the greenhouse. Floor-to-ceiling louvered windows offered ventilation and overgrown ficus, palm, and bamboo trees brushed the rafters on the house’s second floor. It was a steamy June day, and Guimont kept cool in a gauzy blouse and jeans. A musician herself, she understands how difficult it is to keep blood sugar in check when leading an itinerant life. Many musicians live hand-to-mouth existences, work odd hours, are frequently on the road, and neglect their medical care for lack of health insurance. The clinic, which is funded by grants and private donations, provides free or reduced-cost health care to musicians and was cofounded 15 years ago by the house’s owner, Bethany Bultman. She was astonished and alarmed to discover that so many musicians -- who are such an essential part of New Orleans’s unique culture -- were dying young of easily preventable diseases mainly because they never went to the doctor. The clinic is part of a renaissance in medical care that, ironically, has positioned New Orleans at the cutting edge of reforming our grossly inefficient and wasteful health care system. What they’re doing here and in other parts of the city is an entirely new way of tending the sick that can not only prevent illness, but also be more resilient and flexible in a disaster. In the ruins of the decimated public health system immediately after Katrina, a group of local doctors set up 18 makeshift street clinics in the city’s poorer neighborhoods to treat the indigent walking wounded. In the years since, their grassroots effort has proved so successful that it has evolved into a network of more than 100 community-based clinics run by 25 different organizations. These are supported by a combination of government funds, private grants, and charitable donations from organizations like the New Orleans Musicians Assistance Foundation, and they handle 175,000 visits a year from about a fifth of the city’s residents, the vast majority of whom are uninsured. This network is now widely hailed as a new medical paradigm for delivering health care where it is most needed. Even before Katrina, New Orleans was riddled with profound poverty, and residents suffered from exceedingly poor health that was worse than that in many developing countries. Louisiana ranked first or near the top on a long laundry list of benchmarks, including the prevalence of smoking and obesity; deaths from heart disease and cancer; rates of infant mortality, asthma, and diabetes; preventable hospitalizations; and percentage of people without health care insurance. Roughly one out of every four people in New Orleans -- about 22 percent of the population, or 100,000 people -- was uninsured before the storm, compared to about 18 percent nationally. Many of these health conditions were simply the result of bad habits, poor diets, and lack of exercise. When DeSalvo was on staff at Charity, she saw a lot of patients die of illnesses like breast cancer or endstage syphilis and tuberculosis that could have been easily cured or at least controlled if they had seen a doctor sooner. Later, as head of the department of internal medicine and an administrator at Tulane University Hospital, one of the questions that constantly percolated in her head was how best to reach these patients, because it was clear that current methods of caring for the indigent in public hospitals and emergency rooms was grossly inefficient, costly, and simply ineffective. Instead of relying on large, public hospitals to be the front lines for the uninsured, these neighborhood-based “medical homes” offer primary care, screening tests, mental health services, and referrals to specialists. Doctors and nurses can build relationships with patients -- and manage or even prevent debilitating and deadly ills like asthma, diabetes, and heart disease that can be well controlled with regular attention -- and provide the kind of comprehensive care that is simply not available in emergency rooms. Moving these basic safety-net services from downtown New Orleans, where they were heavily concentrated in the medical complex that encompassed University and Charity Hospitals, into local areas means patients can walk to clinics instead of taking several buses. This makes it easier for them to get and keep appointments and to have the continuity of care and follow-up that are not possible in a hospital. The total cost savings with using this approach are enormous, in the millions of dollars -- it costs about $600 a year to treat a patient at a local clinic versus about $600 for one emergency room visit -- plus, the care patients receive is better and they have more confidence that they will receive high-quality care, according to a recent Commonwealth Fund study. In a 2009 survey of 1,573 patients at 27 of these clinics, they found that only 27 percent of these respondents went without needed medical care because of cost compared to 41 percent of adults nationwide. From the upcoming book FEVERED by Linda Marsa to be published on August 6, 2013, and on sale wherever books and e-books are sold. Copyright ©2013 by Linda Marsa. Reprinted by arrangement with Rodale, Inc., Emmaus, PA 18098.